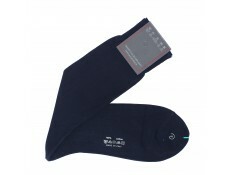 Give your essentials collection a smart boost with Sozzi calze's lisle cotton socks in navy, black and black. 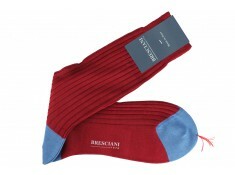 Free delivery with Upper socks. Crafted in Milan, Italy from a sumptuous cotton, Sozzi calze's ribbed socks will be a trustworthy addition to your essentials capsule. Available on Upper socks. 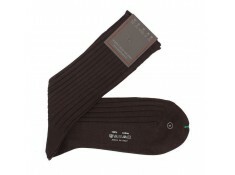 Discover these mid-rise brown cotton lisle socks. 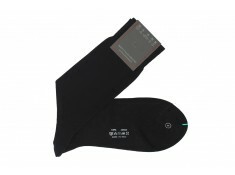 They are made in Italy by Sozzi Calze. 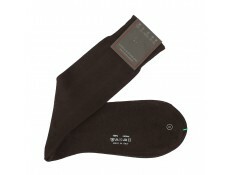 These mid-rise socks are brown and made in Italy by Sozzi Calze. They are not ribbed and made of cotton lisle. These navy blue socks display discreet royal blue toes. 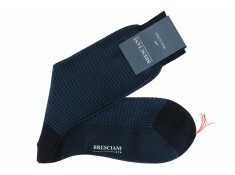 Bresciani is behind this model made entirely of lisle. 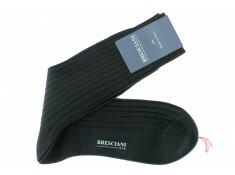 These mid-height socks are manufactured by Bresciani. 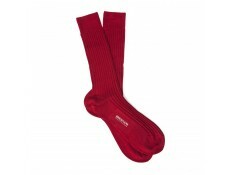 They are red and ribbed, 21 euros. Discover these Bresciani socks made of cotton lisle. 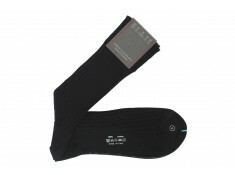 These black ribbed socks are double-knit. Discover these double Scottish lisle thread socks that are made in Italy. 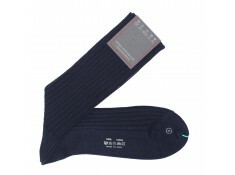 They are navy blue and ribbed, 21 euros. 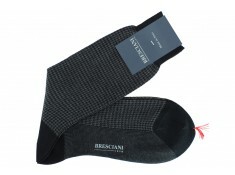 These socks are made in Italy by Bresciani. 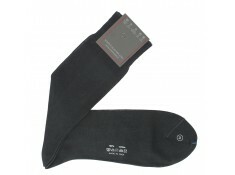 Made of 100% double-knit cotton lisle, they are in gray and come in over the calf length. High-quality materials make up Bresciani’s philosophy, which has made this Italian brand one of the leading manufacturers of men’s socks since Mr Mario Bresciani founded it in 1970. 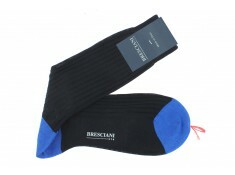 Each pair of Bresciani socks is hand-linked for an immaculate finish. Made in Italy, this ribbed pair has been spun from the finest cashmere - a fibre that's naturally resilient and perfect for chilly winter days. 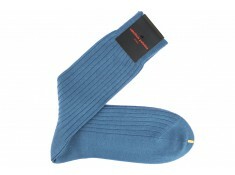 Discover Upper socks blue socks range, wool socks, fil d'Ecosse cotton socks. Upper socks is the last word in super-fine dress socks with the best brands : Bresciani 1970, Palatino. Men who are interested in style, but also interested in an easy life, could happily get by with just a dozen pairs of navy blue dress socks each year. Discover Calzificio Palatino socks. Upper socks is proud to present the iconic Palatino red socks. Uppersocks.com offers the shipping. Calzificio Palatino is located is the earth of Roma. 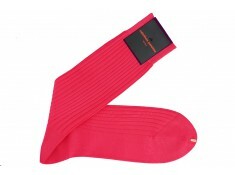 Uppersocks presents the best socks brands selection over the world. Upper socks presents the best brands socks with Bresciani 1970, Palatino and Sozzi Calze. Free shipping. 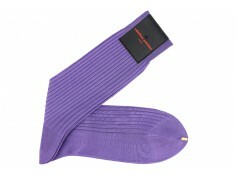 Here is the carmin color presented by Upper socks and Calzificio Palatino Spa. 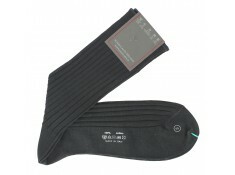 Uppersocks.com offers the shipping. Here is the marino blue socks, a versatile blue. Uppersocks offers the shipping. Discover these sky blue mid-calf socks made by Palatino. They are made of cotton lisle, 18 euros.